All > Apparel > Clothing - ROAD > BULL-IT JEANS - Covec Protection Liner > Bull-It Carbon 17 Jacket - MENS - NEW! 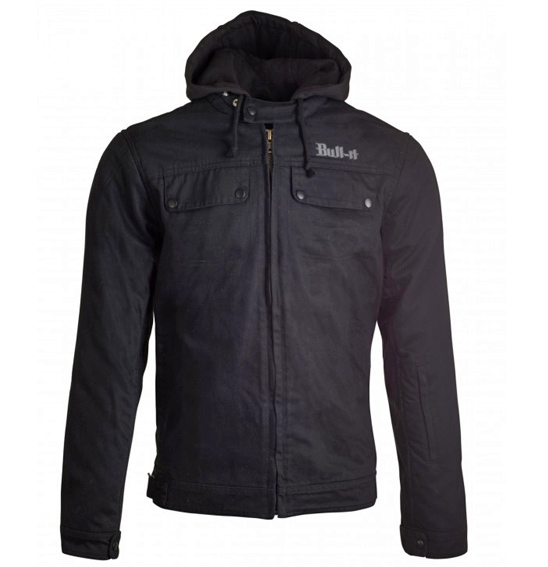 Bull-It Carbon 17 Jacket - MENS - NEW! The Carbon 17 Jacket is a 13oz twill jet black denim jacket with matching black hood. Bull-It have optimised the ride height of the waist of our jackets to ensure maximum fashion whilst still covering the lower back when riding. A wick away mesh liner is included and Covec’s SR6 liner keeps you cool in the summer and warm in the winter. Comes with Covec elbow and shoulder armour as standard, with a back-protector pocket to fit a back protector. As with all Bull-it jeans products, there is a water-repellent finish. 60% Covec SR6 liner coverage - certified CE EN 13595-1 for 6 seconds abrasion resistance. Mens Sizes S - 4XL. Stock information for Bull-It Carbon 17 Jacket - MENS - NEW!